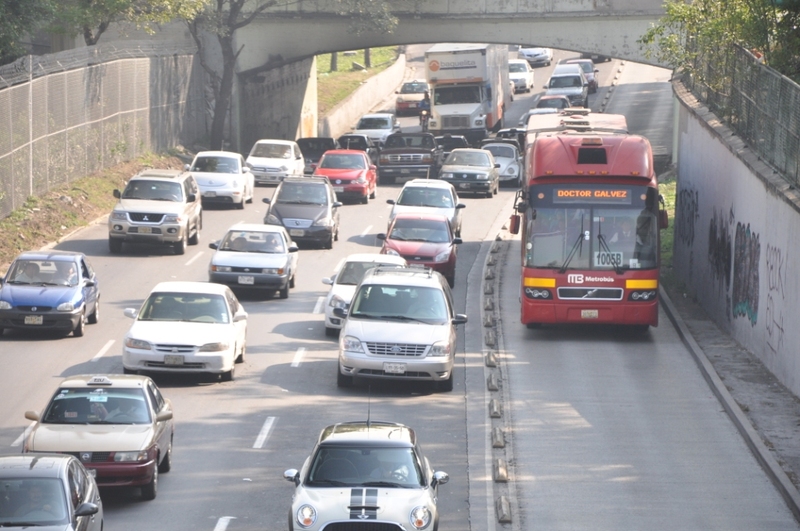 EMBARQ Brazil leads journalists on a tour of BRT systems, including Metrobus in Mexico City. Photo by Mariana Gil / EMBARQ Brazil. A four-year, $100 million pilot project to invest in bike and pedestrian infrastructure in four U.S. communities has resulted in multiple health, economic and environmental benefits, confirmed a recent report by the U.S. Department of Transportation. Biking increased by nearly 50 percent, and there was a reduction in 7,700 tons of carbon dioxide, 1.2 million gallons of gas and $6.9 million a year in health care costs. A new bus rapid transit (BRT) corridor has been approved by the transit board for parts of Oakland and San Leandro in California. India’s Minister of Urban Development and Germany’s Minister for Transport, Building and Urban Development recently signed a joint declaration to promote sustainable urban development in the two countries. With less than 100 days to go before the Summer Olympics begin in London, the city’s transport agency, Transport for London, is using a system for monitoring air quality called CityScan. The city is also using chemical suppressants to “glue” polluting particles to the road, which then get washed away by the rain. To kick off this year’s Spare the Air program in San Francisco, the Bay Area Air Quality Management District is encouraging locals to reduce their driving. New York City Mayor Michael R. Bloomberg received the inaugural Prince Michael Decade of Action Award in recognition of his leadership and philanthropy in global road traffic injury prevention. Bloomberg Philanthropies provides generous support to EMBARQ, the producer of this blog, to implement programs that prevent death and disability from road traffic crashes. Two-thirds of commuters think U.K. roads are “not safe enough for cycling,” according to a survey by road safety charity Brake and solicitors Bolt Burdon Kemp. The study also found that just 10 percent surveyed use their bikes as their main form of transport, and 35 percent would switch to cycling for commuting if roads were less dangerous. South Africa minister of transport Sibusiso Ndebele called on the international community to ensure that road safety is part of the global development agenda, during his address at the Decade of Action Policy & Donor Forum on Wednesday in New York City. EMBARQ Brazil is organizing two missions with journalists from Rio de Janeiro to visit some of the best bus rapid transit (BRT) systems in the Americas. Read a diary-style recap of the “BRT Experience: Press Mission” activities on TheCityFixBrasil.com (in Portuguese), with some posts translated into English and cross-posted on TheCityFix.com.